Do people say you're highly sensitive, that you're clairvoyant or even psychic? Are you sometimes confused with your personality and suffer from mood swings? Do you wonder where you unique and powerful emotions come from? If you are, you could be an empath. This book will help you figure out whether you're a natural born empath or not. More than helping you identify your empathetic personality; you'll learn the basics of being an empath and how to lead a fulfilling life using your special gift. 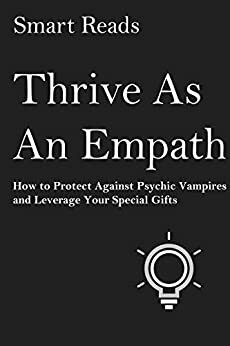 Filled with information, it's a book that will take your hand and guide you in understanding your unique personality as well as help identify empaths close to you.